The religious kibbutz movement has begun teaching its young members to withstand pressure to buy more and learn to make do with the necessities. In an age in which many people are bombarded with advertising urging them to buy more and consume more, the religious kibbutz (cooperative community) movement is fighting back and urging and end to out-of-control consumerism. Religious Kibbutz Movement head Nehemia Rappel spoke with Arutz Sheva about the movement's new program. The educational program aims to teach youth to consume little and to suffice with what they have. It leads youth into discussions about wealth and human happiness, marketing, brand names, and the highly unequal global distribution of wealth. The program comes with a sourcebook containing material dating back hundreds of years alongside modern debates. 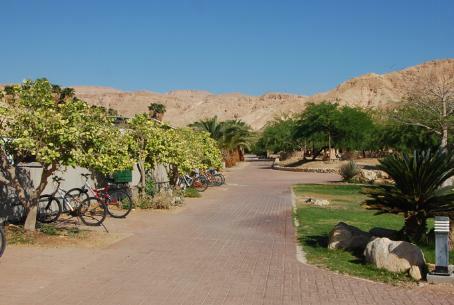 Rappel noted that the kibbutz movement first began its struggle against consumerism in the 1960s. Although material wealth seemed a far-off dream, the kibbutz movement already faced the question of what to do with money left over after each member had enough to live on and to save for old age. That generation passed the test with flying colors, Rappel believes. “I think the [kibbutz] movement acted wisely in gradually increasing the quality of life while demonstrating social and economic responsibility,” he said. It can be difficult to bridge the gap between modern society, which urges consumerism and the purchase of the newest clothes, games, and gadgets, and the "making do with less" mentality, Rappel said. The best way to begin is by raising awareness, he noted. After discussing the general value of making do with few material possessions, educators bring concrete examples from modern life, making the lessons meaningful. Students are often inspired to make changes in their own lives. At that point, Rappel said, teachers sometimes face the challenge of teenagers who want their parents to buy less. The next rule they learn is “not to fight with parents... one has to make do with little when it comes to criticism, too,” he said. Rappel expressed hope that the anti-consumerist message would take root and spread. The message may be picked up by the kibbutz movement as a whole and by the religious-Zionist society, he said, and from there, it could spread throughout the country.